Audio T plans move upmarket after split with Sevenoaks Sound & Vision | What Hi-Fi? Hi-fi and home cinema retail specialist Audio T is to regain its independence after calling off the merger with Sevenoaks Sound & Vision. 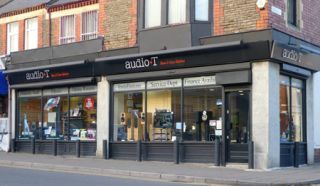 Audio T will now resume trading under its own name and all Audio T stores previously re-branded as Sevenoaks branches will revert to their original name. Audio T has 20 stores in total. Audio T co-owner Jerry Lewin told whathifi.com: "We are sorry to have to inform you that Audio T has decided, jointly with Sevenoaks Sound & Vision, that the merger of the wto businesses announced in July 2010 will no longer take place." "Carrying on with the merger turned out to be difficult in the current economic climate, especially since the Euro crisis knocked the stuffing out of the market. I want to assure all our customers that Audio T is very much back in business and plans to reconnect with our enthusiast audience and move further upmarket." The company says its main aim now is to provide its customers with "an enhanced range of the two-channel products that Audio T has been famed for over the last 46 years. We will also not be forgetting those that want high quality home cinema, nor the exciting new market of streaming audio". Work is underway to move the Manchester store to new, larger premises next door to the existing outlet. However, as previously reported, this year's Manchester Home Entertainment Show has been cancelled. "Moving forward, both Audio T and Sevenoaks will work together to ensure continuity of service for any customers that have purchased goods from either style of outlet," adds Lewin. There's more on this story in our previous news report.